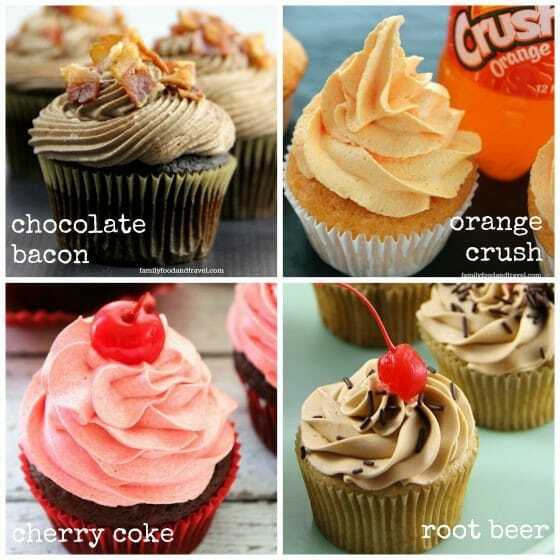 Have you ever made a cupcake with Cherry Coke or Orange Crush? How about a Rootbeer cupcake or one made with bacon or eggnog? These amazing cupcake recipes are made with unusual ingredients but they’re all absolute winners. Some of these cupcakes are fun and playful, and some are downright sinful, but no-matter what your tastes are, you’re bound to find a new cupcake or two here to love. Before we get started, I want to thank my friend Kerrie Mendoza from Family Food and Travel because she is the brilliant baker behind all of these cupcakes. 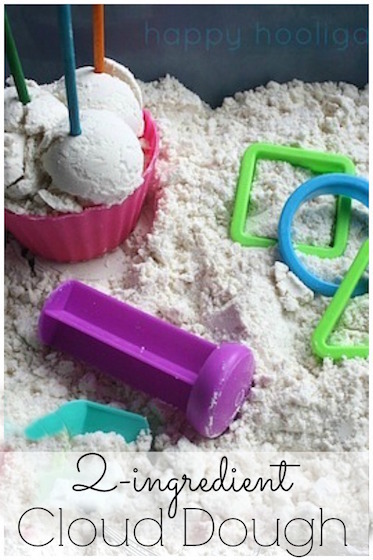 For a while now, I’ve been stalking Kerrie’s blog for her amazing cupcake recipes, and every time she comes up with a new one, I do a little happy dance. 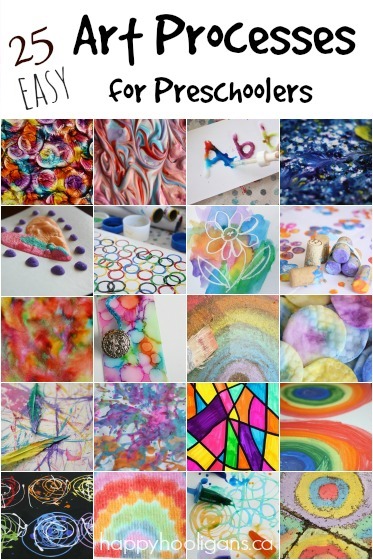 I’ve been dying to share my favourites with you for ages, and today, with Kerrie’s permission, I’ve put together this little round-up for you. Yay! Thanks, Kerrie, for allowing me to share your awesome, unusual cupcake creations! Oh yum! Chocolate, cherries and Coke! Could there be a better combination? 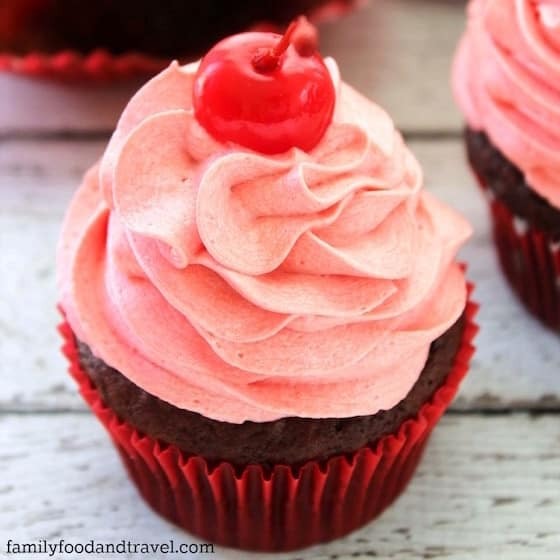 The flavour of Cherry Cola takes me right back to my teenage years, so I think these Cherry Coke Cupcakes would be perfect at a party for teens or tweens. Not only are there coke and cherry flavours in the cupcakes, both are in the frosting as well! Just look at that frosting! Mmm! 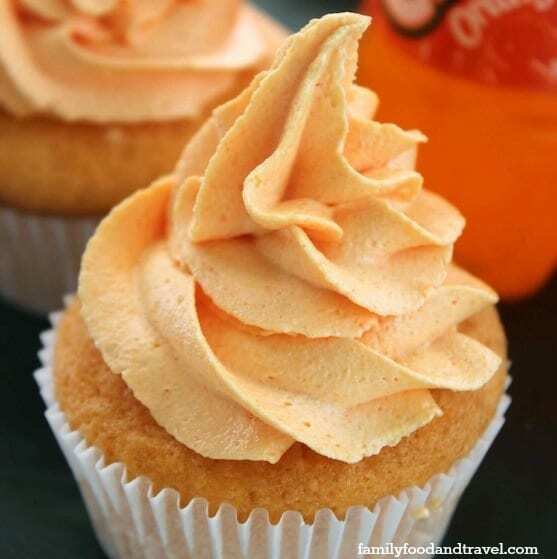 When I saw Kerrie’s amazing Orange Crush Cupcakes, I wanted to squeal for joy. Orange Crush was my favourite soft drink when I was a kid. Remember how good it tasted? 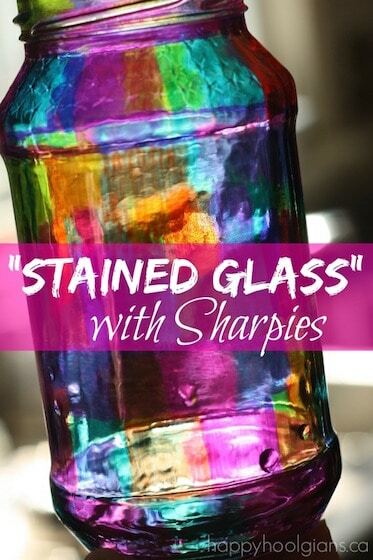 …so tangy and fizzy and bubbly? Just imagine that flavour in a cupcake. Not only in the cupcake, but in the frosting too! Oh my!! Got a Root Beer fan in the house? 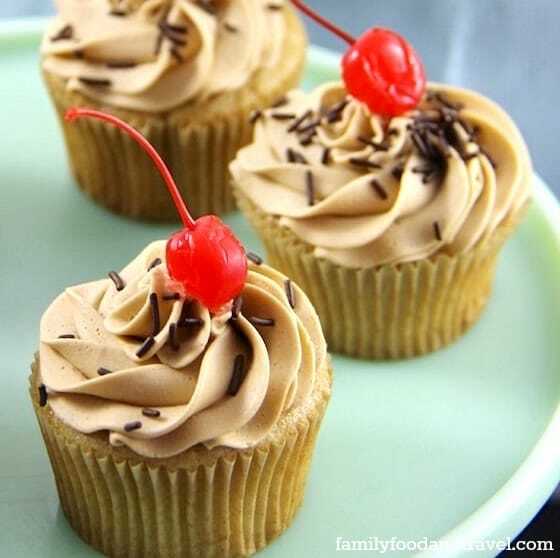 They’ll LOVE these Root Beer cupcakes! There’s Root Beer in the batter, Root Beer in the frosting, and there’s even a Root Beer glaze to drizzle over-top. My husband and my boys adore Root Beer, so I can see these cupcakes making a regular appearance at our family birthday parties. We’re taking it up a notch and entering adult cupcake territory here folks. 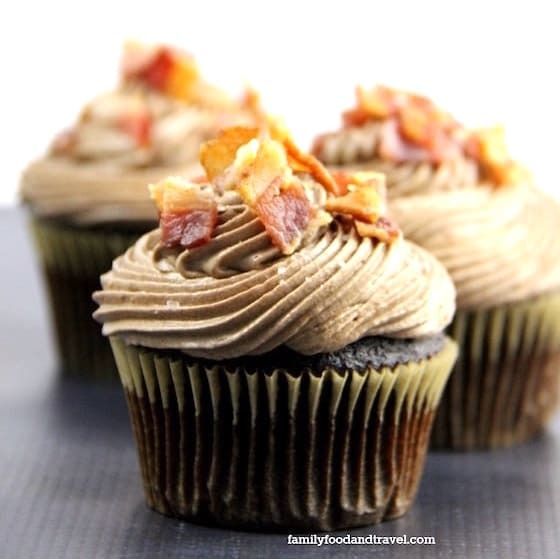 These chocolate bacon cupcakes combine two of the best flavours on the planet: chocolate and bacon! Can you even imagine sinking your teeth into one of these babies? I’m putting these decadent sweet and salty cupcakes on the must-make list for my next ladies’ night! I can only imagine how delicious this flavour combination is! 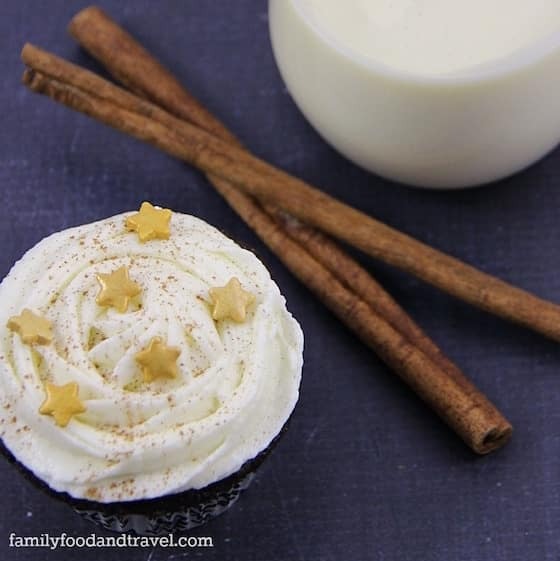 A rich and moist, homemade chocolate cupcake topped with a buttercream-eggnog frosting! What a decadent treat to serve for holiday entertaining and Christmas birthday parties! And there you have it! 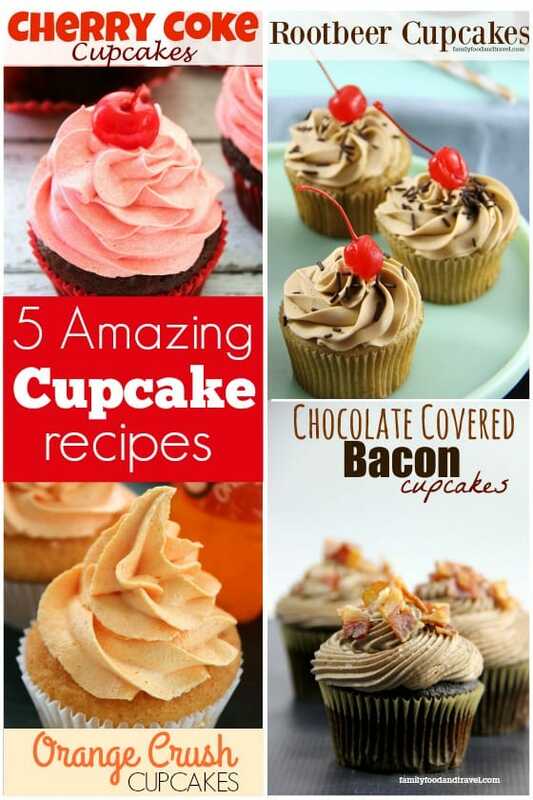 5 Awesome cupcake recipes that will take your cupcake making (and eating!) to a whole new level! 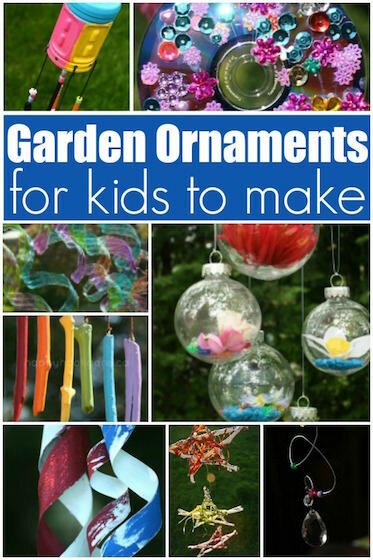 I wonder what creative cupcake recipe Kerrie will think of next? For what it’s worth, I’m casting a vote for Cream Soda! Crazy Banana Cake with Cream Cheese Frosting – the way you bake and cool it sounds crazy, but that’s why it’s the best banana cake ever! Crazy-Good Carrot Cake – Hands down, the moistest, most delicious carrot cake you’ll ever taste. French Vanilla Brownie Cupcakes – a baking accident with a delicious happy ending! 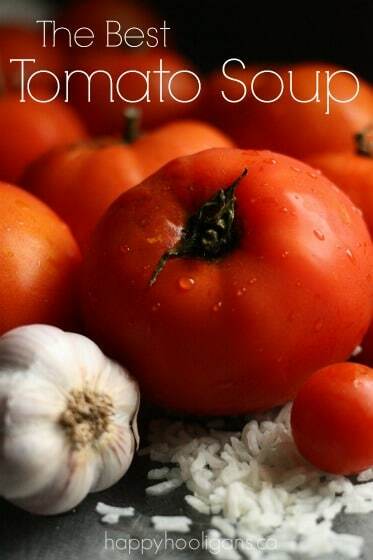 Don’t you have a printable recipe? The recipes all belong to another blogger, Patricia, so when you click on the links they take you to her blog. 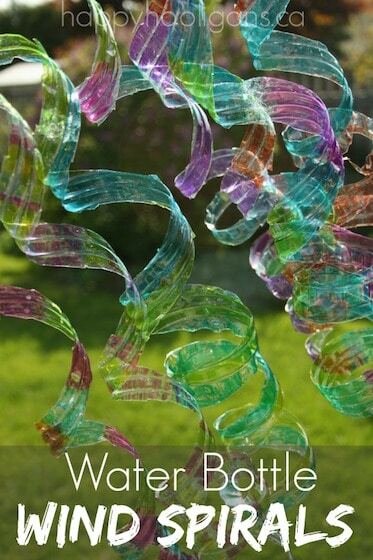 I’ve just asked her if she has printable versions of them. I’ll let you know when I find out.